A very simple soup with 4 ingredients and ready in 1 hour including prep time. 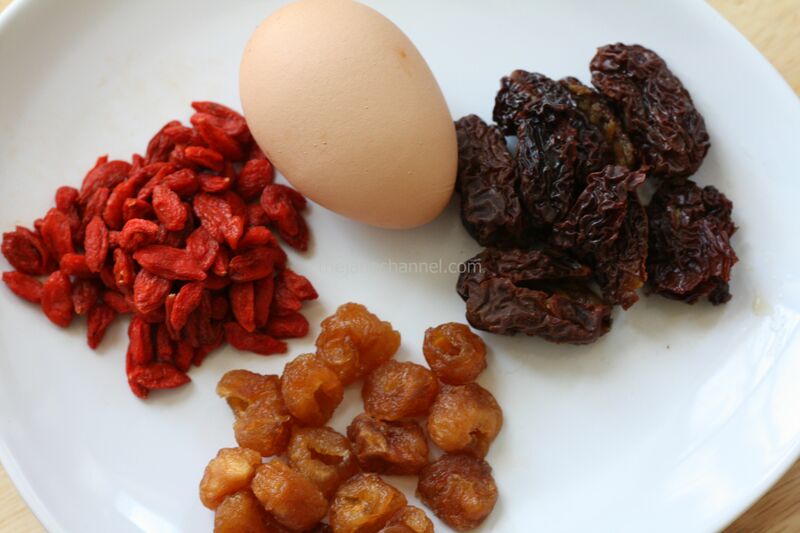 The superfruit Goji Berry helps people with low energy, insomnia, heart palpitations, and even anxiety. The Chinese date nourishes the blood and calms the mind. 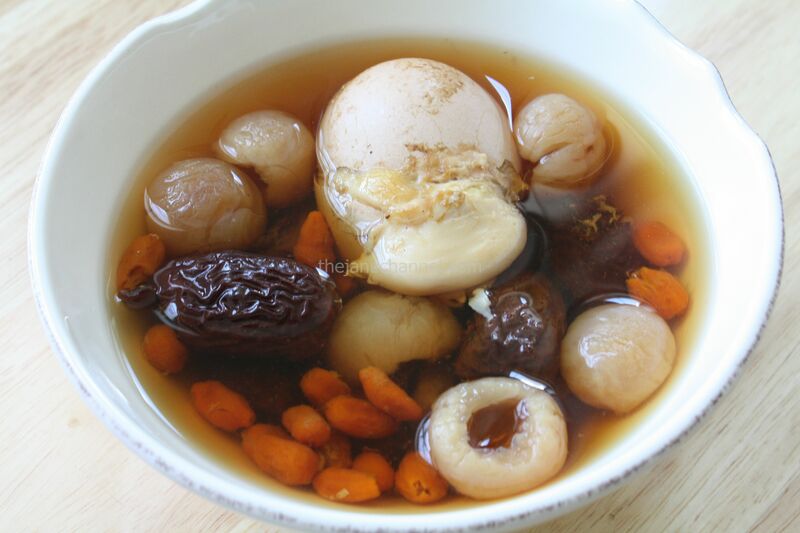 Together with dried longan and egg, this soup is full of antioxidants and nutrients. Clean and wash all ingredients. Place all ingredients in the pot with water. Bring it to a boil over high heat, then reduce heat to medium-low and simmer for 40 minutes.